If you do not want to use WhatsApp anymore, you can think of deleting the WhatsApp account permanently. WhatsApp is the most popular messaging platform with over a billion users across the globe. But the information overload, hoax and random photo messages irritate most of us. There could be more reasons to delete WhatsApp account. If you are thinking to delete the WhatsApp account just because you want to use it on a different number, you have an easy option. WhatsApp now allows users to change the number and keep using the same account with a different number. So, you can change the phone number associated with the account in place of deleting it. If you have made a decision of deleting the account of WhatsApp, but have no idea how to do it, you are at the right place. In this article, I will tell you how you can delete a WhatsApp account. Before you know how to delete the WhatsApp account, you must know what will happen to your data. WhatsApp will disassociate the number with the account, remove the friends from WhatsApp Favorites lists, remove the account from any existing groups, remove all the chats and media files of conversations associated with the account. It also removes the service payment information. You can always create a new account with the same number but your data will not be back. 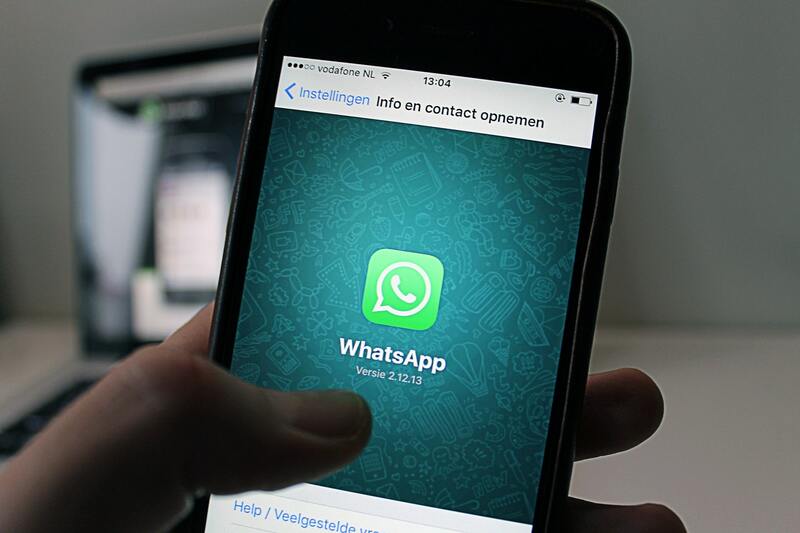 If you have any chance of coming back to WhatsApp and want to start with your old data, you can think of taking the WhatsApp data backup. By default, WhatsApp take daily backup of your data. But you can force it to take back up now by following these steps. Go to WhatsApp Settings → Chats and Calls → Chat Backup → Back Up Now. You will be able to restore from a saved WhatsApp backup if you create a new account with the same number. Even if you have no plans of returning back, it is a good idea to have a backup. No one knows about future. You could need any of the chat for something. So, have a backup in place of regret. Now you are ready to delete the WhatApp account. Follow these steps and you will be done. In this article, I am adding the steps to delete WhatsApp account on Android and iOS separately. Here is how you can delete WhatsApp account on Android phone. Step 1: Launch the WhatsApp app. Step 2: Tap on three vertical dots at the top left side and select the Settings. Step 3: Go to Account and you will see an option saying “Delete My account”. Step 4: In the last step, it suggests you the option to just change the number.If you want to delete, confirm your phone number associated with the account and tap on “DELETE MY ACCOUNT” button. Here is how you can delete WhatsApp account on iPhone. Step 1: Launch WhatsApp App. Step 2: Tap on Settings to launch Settings panel. Step 3: Here select Account and you will see an option saying “Delete My account”. Step 4: Now you need to enter the phone number the tap on “Delete My Account” button. It is also worth to note that iPhone users have an additional advantage. If you have previously backed up your iPhone through iTunes or iCloud, restoring the device from back also retrieves your WhatsApp chats and media. Now you know how to delete WhatsApp account permanently. You can follow the given steps and it will delete your account and data associated with it. As I already said, you can always come back and recreate an account with the same number. So, do not forget to take backup. I know its hard for many people to live without WhatsApp. It helps in connecting you with friends and the information transfer is too fast. If you are connected to multiple groups, you are more likely to receive same kind of forwards at the same time. WhatsApp has also become an important tool for marketers and people who spread fake news. This is the reason, many people think of deleting the account. If you are one of those, you now know how to delete WhatsApp account. I hope you find this article interesting. If you have anything else to ask you can always put it in the comments blow. If you like this article, we have some interesting articles for you. Do not forget to subscribe UseThisTip and follow it on different social media platforms for realtime updates.